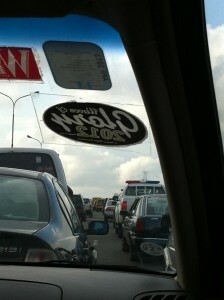 Here I am in busy Lagos traffic – persistence in itself! 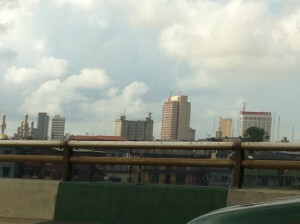 Lagos is a glorious city, the financial capital of Lagos. Depending on who you listen to, it has a population of up to 11 million! That’s a lot of people on the roads and just about everywhere else. I had an important business meeting, and had left Ibadan at 6 am, to be sure to be there for 10 am – I just made it! Being punctual is a lifelong habit for me, and is an important asset, particularly in business. How can you project your reliability and consistency when you start by showing up late? These are simple subliminal clues to help stack the deck in your favour – take it, its free! Go through the steps outlined in the video – they are so simple, yet profound in its effectiveness. By definition, persistence ALWAYS pays off! If you keep on going, you will reach your destination/goal. It is persistence that pays off when a baby moves from crawling to walking. They don’t give up at the first, second or tenth attempt. They simply do it again until they get it – no big drama most of the time, neither does the thought of not attempting to walk, being satisfied with crawling ever enter the equation. They see people around them walking, and the baby wants to do so, no matter how many times they fall. Take that vision of a baby wanting to move from crawling to walking, along with the 4 simple steps described in the video – you’ll be UNSTOPPABLE!